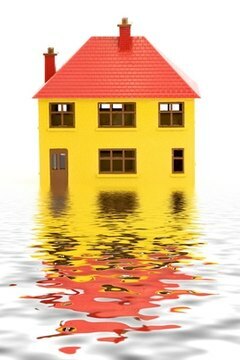 Homeowners insurance is essential for protecting a home and possessions. While rates will vary based on location and coverages, if disaster strikes, having homeowners insurance can be a real lifesaver. All major insurance companies sell homeowners policies. Quotes can be found online or by calling an insurance agent. There is no state requirement regarding homeowners insurance in the state of Pennsylvania. There are very few states that actually require individuals to carry homeowners insurance. While not a requirement by the state, most often a lender will require it. While the state may not require homeowners insurance, a mortgage company will require policy holders to carry an appropriate amount of insurance. It would be virtually impossible to get a mortgage without carrying homeowners insurance. Letting insurance lapse after a mortgage is in place can leave policy holders on the hook for the replacement value of their house if a catastrophic event were to occur. Even if you own your home outright, homeowners insurance is a good idea. While most people will never have to suffer through the loss of their entire home and possessions, it can happen. Tornadoes, fires, mudslides and floods are just a few of the things that can destroy a home. If something were to happen, insurance allows homeowners to rebuild without draining their life savings. It is a good idea to review homeowners coverage on a yearly basis. If you have added a room, finished a basement or just remodeled the kitchen, it is possible that the replacement value of your coverage is no longer enough. When determining coverage limits, make sure that you are covered for the replacement cost of your home and not just it's current market value. As home prices have decreased, it is not uncommon for it to cost more to rebuild a house then its market value. In addition to homeowners insurance, carrying an umbrella policy can be a good idea if your home contains high-risk items like a swimming pool or trampoline. These policies kick in after personal policies have been depleted, and umbrella policies tend to carry much higher limits. Unfortunately, this is litigious society and an accident on a property can quickly lead to a lawsuit. An umbrella policy provides coverage if a judgement is placed against a homeowner. You can often receive discounts on your insurance premiums. Ask your agent to check your policy to see if you qualify. Installing a security or sprinkler system should result in a discount. Deadbolts, smoke debtors and fire extinguishers can also lead to savings on your premiums. Insuring your car and home with the same company is another way to qualify for a discount. When shopping for new insurance be sure to ask for all available discounts. Vallet, Mark. "What Is the Pennsylvania Law for Homeowners Insurance Requirements?" , https://legalbeagle.com/6526190-pennsylvania-law-homeowners-insurance-requirements.html. Accessed 20 April 2019.